Nuture your child's love for animals and nature with Omaha's Henry Doorly Zoo and Aquarium's Zoo Troop programs. These programs use the Zoo as a classroom to encourage children of all ages to investigate, play and learn through hands-on activities and exploration. Please contact our Education Department at (402) 738-2092 for more information. Classes for children up to 3 years of age. Pre-registration and payment is required. An adult must accompany the participant. The registration cost covers one adult and one child. Prices reflect the discount member rate. Stride into a world of discovery with a fun story to start your adventure then, walk, talk and learn about specific animals. Don't forget the stroller! Registration fee is $10 and includes one adult and one child. This program is geared toward toddlers ages 1 - 2. “Once upon a time” tales are filled with animal characters. Rediscover your favorite storybook animals who live at the zoo. From "Billy Goats Gruff" to the goose who laid a golden egg, these animals all teach us a thing or two about living with others. All programs run 10:00 a.m. - 10:45 a.m. Gather your gear and join our explorers program for 2 to 3-year-old children. We will uncover a wide variety of topics including colors, patterns, shapes, habitats and biomes. Imagine the discoveries that will be made! Registration fee is $15 and includes one child and one adult. Do lemurs really leap? Do all monkeys swing by their tails? Discover the answers to all these questions and more in one of our interactive Early Explorers Adventures. All programs run 10:00 a.m. - 11:00 a.m.
Cubs programs are for children ages 3 - 5. Pre-registration and payment of $15 per child per session is required. An adult must accompany the participant. The registration cost covers one adult and one child. Prices reflect the discount member rate. 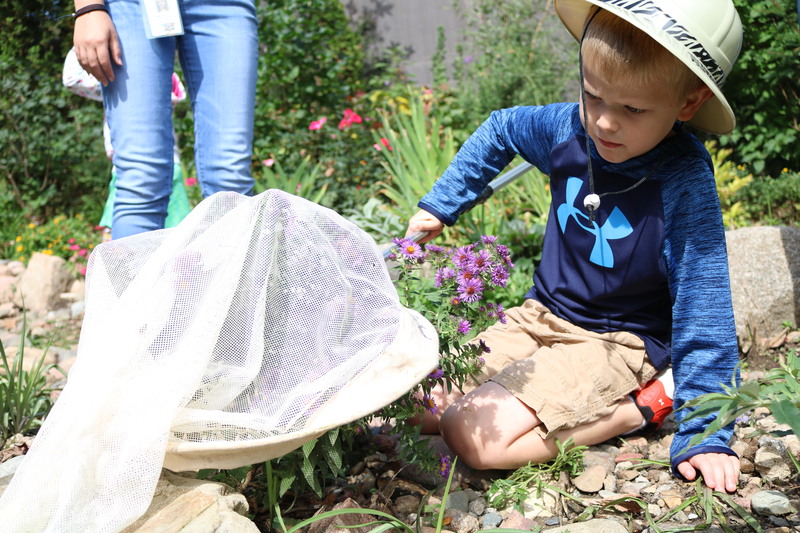 Through science-based exploration and outdoor play, preschoolers and their caregivers will experience Omaha’s Henry Doorly Zoo and Aquarium using their senses. Each adventure begins with an opportunity to explore several learning stations based on the adventures theme where children can practice fine motor skills, sensory investigation, creativity, and pre-math and literacy skills. Station time is followed by an opening circle, listening to a story and further exploring the weekly theme. Animal Facts - February 22, 10:00 - 11:00 a.m.
Do toads give you warts? Do porcupines shoot their quills? Put your guess to the test. Amazing Architects - March 22, 10:00 a.m.-11:00 a.m. Animals are the original architects! See these construction creations up close, and gain some hands-on building experience yourself, as we explore how animals build homes, bridges, factories, and more. Wild about Art - April 19, 10:00 a.m.-11:00 a.m. Calling all artists! Let nature bring out your “wild” side as we paint with feathers and grass and make art with leaves and other natural items. All Aboard! - May 24 & May 25, 10:00 a.m.-11:00 a.m.
Are you or your child a train fanatic? Catch a ride on the zoo train! We’ll trek around the zoo to learn how animals soar, slither, or swim from place to place. Marvelous Mammals - June 14, 10:00 a.m.-11:00 a.m. Whether they are walking on land or swimming in the sea, mammals live all around the world! Create different habitats for these warm-blooded creatures as we learn more about their unique characteristics. Amazing Amphibians - July 19, 10:00 a.m.-11:00 a.m. There is definitely more than meets the eye, with these real-life transformers. Your student is sure to have a toad-ally fun learning experience as we compete with different frog species to see who the better jumper is or practice our best frog calls. Fish Frenzy - August 16, 10:00 a.m.-11:00 a.m. Fish are well equipped to live in the water. Have your student join our school of fish as they create their own fish model to take home. Zoo Troop Pounce programs are for children ages 6 - 9. Pre-registration and payment of $20 per child per session is required (unless otherwise noted). Prices reflect the discount member rate. L.I.O.N. Zoo Troop is a new series-based class where children learn to understand and respect the world around them through exploration and up-close animal encounters. Kids will be challenged to work together, get outside and have fun! Little Zoologist (ages 6-7) – March 16, 30, April 20 1:00 p.m. - 3:00 p.m. Challenge your budding zoologist's curiosity and join us as we explore animals big and small in this series-based class. Cost is $50 for all three programs ($20 if registering separately). Please call (402) 738-2092 to receive the series discount. Zoology Explorers (ages 8-9) – March 2, April 6, May 4 10:00 a.m. - 12:00 p.m. Enter the fascinating world of the animal kingdom! Zoology is all about animals. 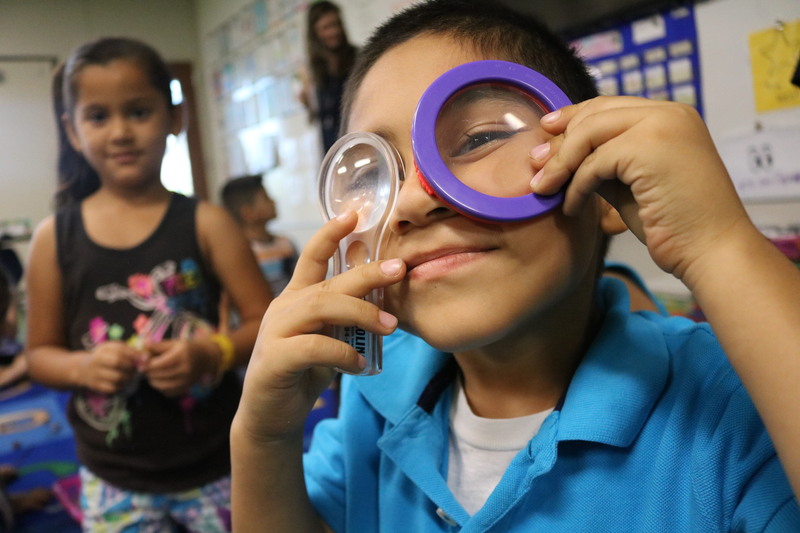 In this series-based class, students will explore different animal groups and begin to learn how to use tools of the trade like hand lenses and microscopes. Cost is $50 for all three programs ($20 if registering separately). Please call (402) 738-2092 to receive the series discount. Zoo Troop Mane programs are for children ages 10 - 12. Pre-registration and payment is required. Prices reflect the discount member rate. Jr Marine Biologist (ages 10-12) – March 9, April 13, May 11 1:00 p.m. -3:00 p.m.
Life under water is amazing! Discover the critters who call this place home and meet a few of our very own water-loving animal care crew members. Cost is $50 for all three programs ($20 per program if registering separately). Please call (402) 738-2092 to receive the series discount. Pride programs are for young adults ages 13 - 18. Pre-registration and payment required. Prices reflect the discount member rate. Marine Biology - March 2, April 6, May 4 1:00 p.m. - 3:00 p.m.
Students will be introduced to the ocean and marine life through the Zoo's aquarium and hands-on labs. This is a great opportunity for students who are interested in the field of marine biology or who have had little interaction with the ocean. Cost is $50 for all three programs ($20 per program if registering separately). Call (402) 738-2092 to receive the series discount. Family Zoo Adventures are geared toward families with children. Pre-registration and payment of $16 per participant. A minimum of one adult and one child is required ($32 total, unless otherwise noted). Prices reflect the discount member rate and may vary based on event offered. Questions? (402) 738-2092. These workshop shows participants on how to monitor their lilacs and report their spring progress. Data collected will be used to determine differences over the years and help track trends that might be occuring all across the United States. The midwest has a very low reporting number on lilacs and the Omaha Zoo & Aquarium would like to increase the data collected by training the public (Citizen Scientist) throughout Nebraska. If you or someone you know has a lilac bush, this is a class for you. Cost: $18.00 for members ($21.00 non-members). Price includes training materials. Classes are held 1:00 p.m. to 3:00 p.m. at the Zoo in the Robert B. Daugherty Education Building. Breakfast with the Bunny - April 13 or 20, 8:30 a.m.-10:00 a.m.
Space is limited for this event. Families, grab your baskets and join us for a very special egg hunt and breakfast! Enjoy interactive stations throughout Children's Adventure Trails and opportunities to meet our bunny Animal Ambassador. It should be an eggcellent time! Cost: $25 for children ($30 non-member) | $20 for adults ($25 non-member). All children must have a ticket to participate in the egg hunt and eat breakfast. Animal Artists - July 13, 2:00 p.m.-4:00 p.m. Grab your easel and join us for this fun class all about animal art. Make your very own animal paintings, and you may even get to see a Zoo animal try their paws (or scales or toes) at a little masterpiece of their own! Adult programs are those ages 18 and older. Pre-registration and payment is required. Prices reflect the discount member rate. Winter Wolves - Saturday, January 19th, 1:30 p.m. - 4:30 p.m.
Winter Birds - Saturday, February 16th, 8:30 a.m. - 11:30 a.m.
What camera equipment do I bring? Bring your telephoto lens for the best shooting. Bring extra batteries due to cold temperatures (keep them in a warm pocket). A monopod or tripod is helpful when using long lenses. How do I dress if it is cold? The key to staying warm in frigid temperatures is to wear proper layers. Body: A base layer, such as long thermal underwear, is the best way to maintain temperature. Layer clothing on top of the base layer and then add your winter coat or insulated coveralls/bibs. Tuck a scarf around your neck if you wish to keep out the wind. Feet: Keep the feet toasty by wearing thick wool socks with sturdy winter footwear. If there is snow or ice, wear boots with tracks or good traction. Hands: Hands can be hard to keep warm, but start with a nice pair of gloves and consider keeping hand warmers in your pockets. Head: Wear a stocking cap or headband that covers your ears. The visitor center is not open. Bathrooms are available, but in limited locations. We reserve the right to cancel or postpone programs due to inclement weather.